Lytham Hospital in the 1930s. 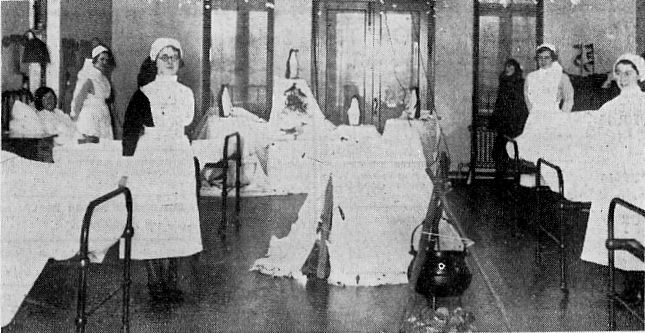 Chrismas 1935; a festive decorative scene in the female ward of Lytham Hospital. Snowflakes, an igloo, a hunter, a bear and penguins represented an Icelandic homestead.